Would you like to know the secret for selling a home faster? Look no further than Real Estate Staging. Our workshop introduces you to the process and business behind Real Estate Staging. Professional Real Estate Stagers define staging as, the act of preparing and showcasing residential or commercial property for sale. It is a systematic and coordinated methodology in which knowledge of real estate business, design principles, remodeling and consumer behavior psychology are applied to attract a buyer. The way we function in our homes is perfect for our day-to-day lives. However, when you decide to list your home for sale, you must think how to properly merchandise it. By the end of classes, you will have the foundation to begin building your Real Estate Staging business. I.C. Designs by Aimee is focused on providing high-quality Interior and insured contractors for residential and commercial properties. She can help you to invest wisely to enjoy your living space, or staging your property to sell it faster than competitors in the market. Aimee works with all budgets and every creation is special to her. She has staged properties over $1 million dollars in the areas of Brickell, Coral Gables, Pinecrest,and South Miami. From a Fashion Designer mother and an artistic entrepreneurial family, Aimee was raised in a world of couture fashion. 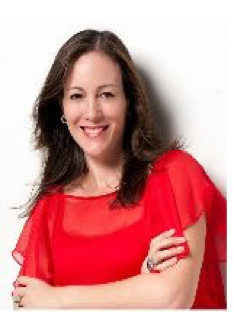 Professionally, she has worked 7 years in the high-end Women's Clothing Industry between N.Y. and Miami, as well as a Visual Merchandiser; more than 15 years in the Real Estate Business: Remodeling, Interior Designing, and Staging Properties for Sale. She has degrees in Marketing and Fashion Showmanship, Interior Design, and a Master's in International Business.